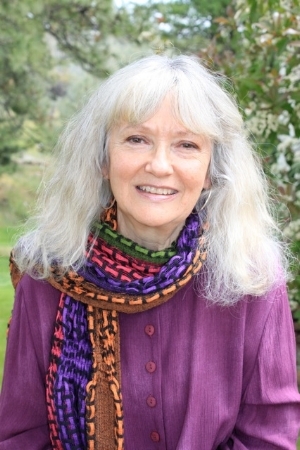 Dr. Nanci Shanderá, Ph.D., an intuitive, transperceptive spiritual teacher, transformational-alchemical psychologist, dream specialist, pre-birth Soul Agreement counselor, writer, artist, Director of EarthSpirit Center for the Transformational Arts in Nevada City, California, and an Elder in our global community. A spiritual explorer since early childhood, she began professionally guiding others in their spiritual quests since 1977. She has taught innumerable and varied workshops on spiritual transformation, and has lectured for various churches, expos, and organizations throughout the United States. Dr. Nanci teaches from ancient Mystery School traditions through induction of higher energies and dimensions that heal and transform. She discourages students from perceiving herself or any other spiritual teacher as the prime authority for their lives and challenges them to accept their unique gifts and differences unconditionally. She uses the power of humor, storytelling, imagination, and art to move students into higher realms of spiritual memory and manifestation. She holds a Ph.D. and M.A. in Transformational Psychology, a B.A. in Education, and an R.Sc.F. in the Religious Science ministry. Her experience includes teaching in public school as well as in community colleges and metaphysical seminaries. She administered the United Church of Religious Science’s Ernest Holmes College School of Ministry in Los Angeles for many years, where she also taught transformational intensives and writing courses. 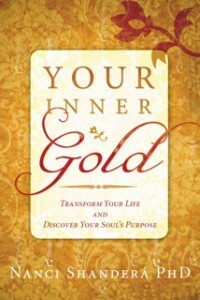 She is a writer of self-help and fiction books, including Your Inner Gold: Transform Your Life and Discover Your Soul’s Purpose and The Quilt: A Woman’s Journey to Power. She has been published in various spiritual magazines, such as Alchemy Journal, Shaman’s Drum, and Science of Mind. Dr. Nanci credits her teacher, Brugh Joy M.D., with whom she studied for over thirty years, with awakening her to the higher consciousness she now employs personally and professionally. Other teachers who influenced her greatly include Michael Newton, Joan Halifax, Jean Houston, Paul Brenner, Michael Harner, Sandra Ingerman, James Hillman, Joseph Campbell, Lynn Andrews, Venerable Shinzen Young, John Brooker, John White, Elizabeth Kubler-Ross, Bella Karish, Stephen Hoeller, and Dennis William Hauck. She moved from Los Angeles to Nevada City, California in the northern Sierra Nevada mountains in 2004 for the peace and quiet required to enhance and deepen her life’s purpose in service to others. She has two daughters, three grandchildren, and two great-grandchildren. She is an avid reader-researcher and artist, and loves classical music, camping, hiking and travel.